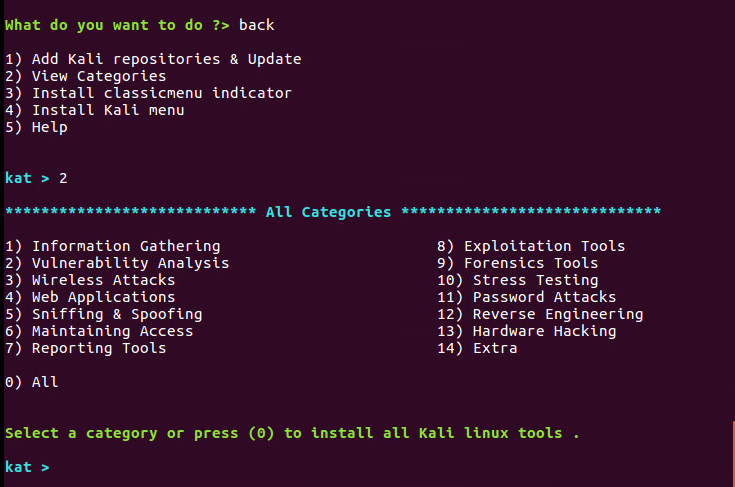 I just finished installing Kali tools via katoolin script in Ubuntu 16.04. I followed th instructions from here: Proper Installation of Kali linux tools in Ubuntu 16.04 LTS, but now I cannot see any of the tools as being installed. Can you help, please? Thank you. Browse other questions tagged katoolin or ask your own question.